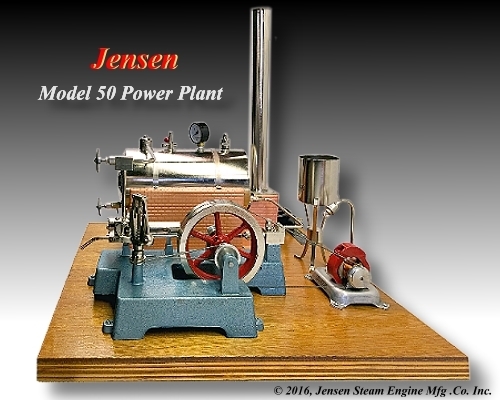 Here at Jensen, we are pleased to announce that our well known Jensen Model 50 Miniature Power Plant is returning to production, after years of absence. This behemoth of a steam engine is certain to become the main attraction in anyone's collection or educational display. The Model # 50 is the same engine that was used on our World Famous Model 51, in a far more manageable size. 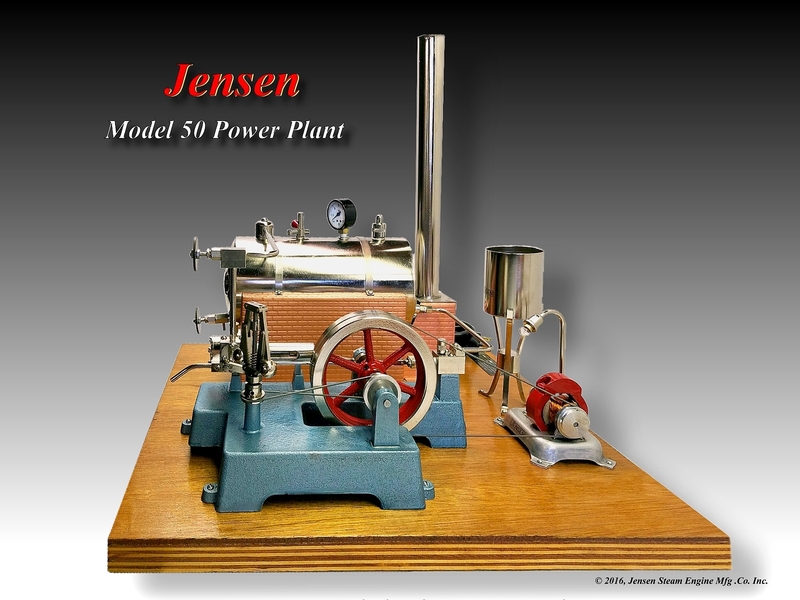 The Jensen model 50 is our largest Power Generation Plant, producing a hefty 1/10 horsepower, under full steam. Since our founding, each of these uniquely designed engines has been individually and lovingly handcrafted and factory tested to insure the absolute maximum in performance. The model 50 is, without a doubt, the pride and joy of any collector who owns one. Please note that production is limited. Copyright � 1996-2006 Jensen Steam Engine Mfg. Co. Inc All rights reserved. All Unauthorized commercial republication, by any means, of materials, including but not limited to, Site Templates, Graphics and Design contained on this site is prohibited.